BIA’s Melbourne Building Inspectors are experts when it comes to Building and Pest Inspections for the Melbourne property market. 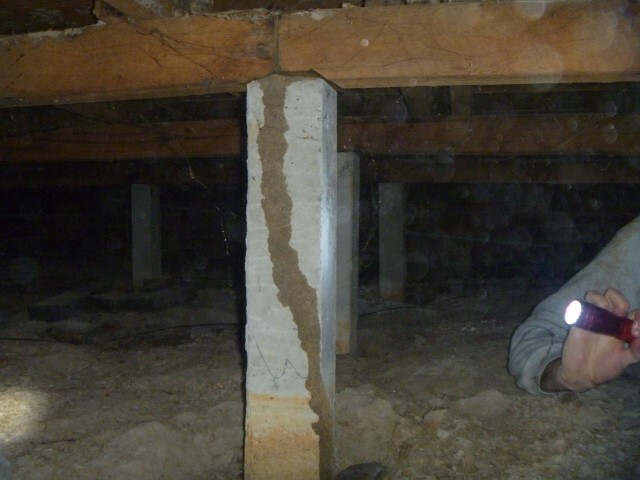 After the building inspector found extensive termite damage to numerous timber components throughout the interior of the building he couldn’t wait to see what was under the floor. There was another Building Inspector from a different company at this Melbourne Building and Pest Inspection who thought the access point for the subfloor was too small to fit through. We didn’t!! Building Inspections Australia will go anywhere if we can squeeze in, especially if there’s termites! Four large termite entry points were located in the subfloor indicating that one or more mature nests were in the vicinity of the building. Immediate eradication is essential to eliminate further damage to the property. Our clients were so relieved that we saved them from buying a termite infested money pit. For confident, independent building inspections in and around Melbourne book with us today or call 1300 274 349 to speak with the industry leaders!